Starting a small business may sound as a game-changing idea that will ensure steady cash inflow for the rest of your lifetime – but how exactly do you dive into the entrepreneurial waters? The answer is simple: start flipping houses, and build a career thereon. Even celebrities flip property as a side-gig because it’s a relatively simple endeavor which promises fast and high profits. 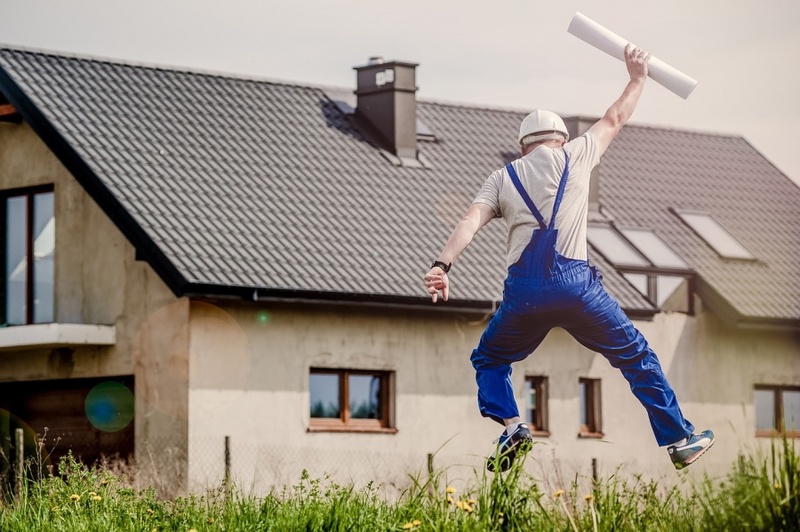 Here are a few reasons why flipping houses is an ideal starting point for your small business, together with the main points you should bear in mind before you jump on the property rehab wagon. For newbie entrepreneurs, property flips are a dozen business gains in disguise, and here’s why. • Investing in real estate is safe. Granted you’ve done the preliminary market research with due care, financial risks involved in house flipping are minimal. The market value of flipped property is prone to oscillations, but these are seldom extreme. • Real estate is a profit fountain. A realtor with strong negotiating skills can sell a piece of property for a small fortune. If you manage to buy real estate in a solid shape below market value, you can sell it for double the initial price (granted hot location and the right updates). • Property is always marketable. The demand for residential and commercial space never drops overnight – in fact, nowadays it rarely drops at all. The stable demand for strong-boned property makes home flips a safe starting point for fledgling businessmen still picking up the knacks of market game. • Flipping houses is dead easy. Although you need to be extremely careful when picking property for the fix-and-flip, the makeover itself is a breeze. Even if you’re short on the technical knowledge required for home renovations, you can always hire a contractor to do the hard work for you. Before you rush off to enter your real estate company in the local business register, arm yourself with all the critical info to ensure instant flipping success. Here are the most important points you need to take into account when launching a small house flipping business. Without a good insight into current market situation, hot property locations, repair and update costs, and average asking and selling prices for houses in the area, you can’t hope to make a living out of house flips. To avoid losing money as a beginner flipper, do your real estate homework diligently, educate yourself on lucrative renovation projects, and learn which aspects of property are deal-breakers. Once you’ve reviewed property on sale in the area, it’s time to take a look at the figures. To get a barebones estimate of the final asking price, add up the initial property price, expected rehab expenses, taxes, permit procurement fees, mortgage or loan line cost, broker’s commission, and title transfer fees. As a general rule, you should aim for the lowest possible purchase price: the initial leeway will make room for costlier updates to amp property value and final asking price. Homes with faulty foundation, supporting structure defects, and underground water or landslide issues are a money pit: the flip can cost you more than the property itself is worth. Pick your deals carefully, and don’t make emotional decisions: the fact that you really like the house doesn’t mean it’s worth the asking price, nor does it guarantee that the future buyer will like the property as much as you do. Not all property requires an upgrade to win a high price. In certain conditions, shipshape homes can be purchased below the actual market value (e.g. foreclosure, divorce, owners’ financial problems, or job transfers). In such cases, the model of wholesaling houses is a better option than property flipping, as it entails lower total costs and speedier (albeit usually lower) return on investment. Advertize the property in the local listing and classified ads as soon as rough works are over. Homebuyers do love fine polish, but those who know a deal when they see one usually sign the purchase contract well before the final trims are in place. Also, never sit on flipped property for more than you need to: stale listings are a major red flag for clients, and speedy sale at a lower than expected price can be more lucrative in the long run because of all the taxes and legal costs involved in holding onto property until a better offer comes along. Flipping houses is a great way to set sail across the entrepreneurial waters – and if you’re a good negotiator who’s not afraid to take risks, you may even fall in love with your new job and make a lifelong career out of it.